New Product! CURRENTLY FREE UNTIL 8:00 PM MARCH 4th! Thank you for all the likes! Who Are You? 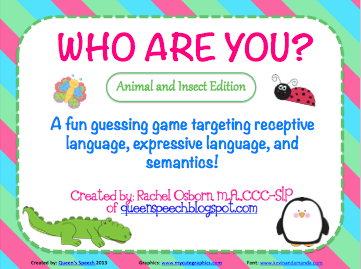 A fun guessing game targeting receptive language, expressive language and semantics! 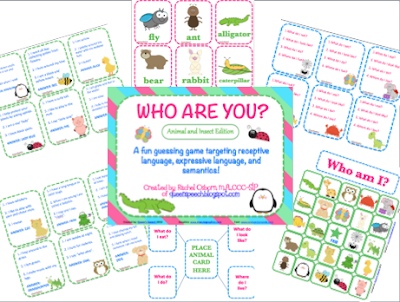 Targets: receptive language, expressive language, and semantics! 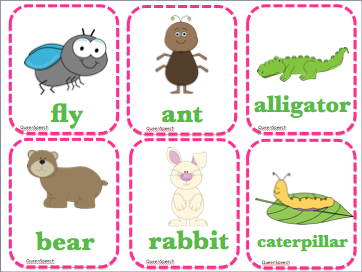 Receptive Language skills (pages 3-6)= 20 animal cards. 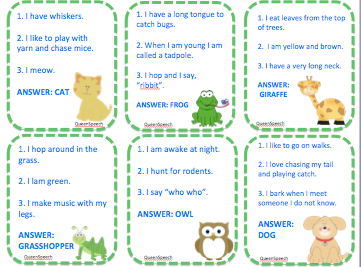 SLP or students may lead (you decide), Use the green animal cards to target receptive language! Read each clue to students and wait. 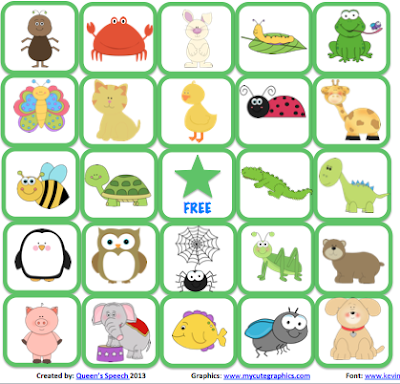 See how many clues it takes for them to guess the animal! 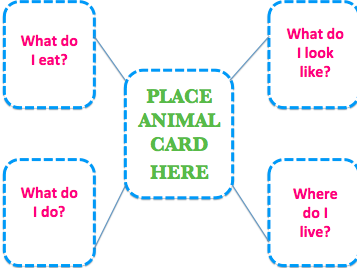 Descriptive Mat (page 20) :To practice how to describe the animal as a group, place a pink animal card in the middle, as a group talk about the features of that animal! Multiple ways to play! 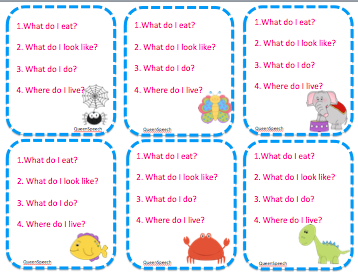 SLP lead with green cards, student lead with blue cards, or work at as a group with pink cards and the descriptive mat! Include 5 different BINGO cards!